Organized by Antalya Commodity Exchange (ATB) with the support of the Turkey Union of Chambers and Commodity Exchanges (TOBB), the 4th Regional and Traditional Products Fair will be held September 19 to 22 at Antalya Expo Center. 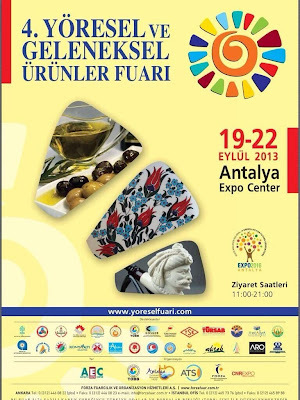 Anatolia's most traditional and regional products will be exhibited at this fair. If you want to get to know Turkey, do not miss the 4th Gift, Regional and Traditional Products Fair!